What is country crunk? This guy knows, but he's not telling. What is country crunk? To be honest, even SampleRadar isn't totally sure, but it feels like it should be wearing a Stetson, carrying a 909 under its arm and shouting a bit. Perhaps the best thing to do is just check out these royalty free samples: you've got guitars of various flavours, beats, basslines, Rhodes piano progressions, organ licks and harmonica parts to get busy with. The samples are split into four construction kits, each of which is supplied in a tempo-labelled folder (84, 110, 98 and 90bpm). Inside these you'll find further folders that are labelled by instrument, and the samples are contained within. 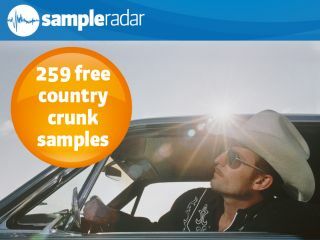 The country crunk samples are supplied in a zip file, so you'll need to extract them before you can see them. Enjoy!